Sundar Pichai highlights AI as one of Google’s greatest successes, and future focus for the year ahead. Google I/O has kicked off today with a wide-ranging keynote from CEO Sundar Pichai. "It's been an extraordinary year on many fronts,” Pichai said, “we're at an inflection point in computing, and it's exciting to be driving technology forward." "Expectations for technology, are what offers opportunities are available to you...It's clear technology can be a positive force. But it's equally clear we can't just be wide-eyed about the changes technology creates." "I've always felt we were fortunate as a company to have a timeless mission,” he added. “We know the path ahead needs to be navigated carefully and deliberately. We feel a deep sense of responsibility to get this right." 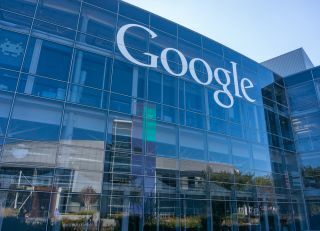 However Google’s CEO was also keen to highlight the role that AI technology has played in the company’s success in the past year, and what it will do in the coming months. Pichai noted that a year on from the release of Google AI, and two years from the release of the Google Assistant, the company is now looking to integrate AI technology into its own products, many of which have been rebuilt from the ground up. "AI is going to impact many fields," he noted, mentioning a number of use cases in healthcare and accessibility, as well as how it influences the new build of Gmail revealed last month.